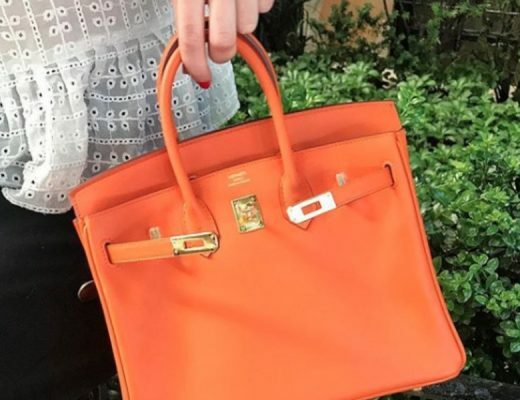 Everyone knows and loves Hermes Birkin and Kelly bags, but there are many other Hermes bags worthy of the same love and admiration. Here are 7 bags every Hermes lover should get to know better. 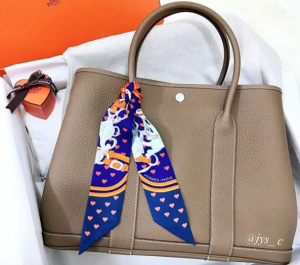 Introduced in 1959, the Hermes Constance is one of Hermes’ most sought-after style. The Constance can be worn on the shoulder, or crossbody. This sleek bag was named after the daughter of its designer, Catherine Chaillet. 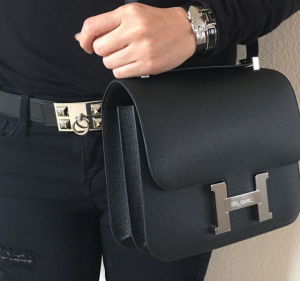 The Constance is instantly recognizable by its iconic “H” buckle. 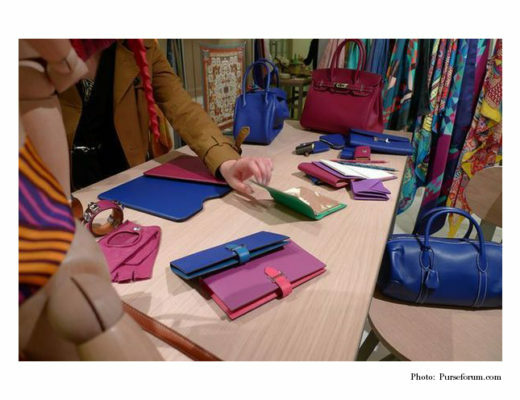 In true Hermes tradition, each bag is made by a single artisan, and can take up to 14 hours to be completed. The Hermes Constance is currently available in 4 sizes: micro, mini, 24cm and Elan (a longer, narrower version introduced in 2010). There used to be a Constance 23cm, 25cm and 29cm, and while discontinued by Hermes, some can still be found in the secondary market. Thought most commonly constructed from Box Leather, the Constance can also be found in other sturdy leathers, such as Epsom, and exotics. If you want a practical bag you can carry every day, the Evelyne is the perfect choice. Designed in 1978 and named after Evelyne Bertrand, the former head of Hermes’ riding department, it was originally intended to carry equestrian grooming tools, with its iconic perforated H design meant to help these dry faster. There have been three versions of the Evelyne, the first version was the Evelyne I, which didn’t have any outside pocket, Evelyne II with only a pocket in the smallest size and currently the Evelyne III which comes with pockets and an adjustable canvas strap. The Evelyne is a great travel bag as it is roomy and allows for hands free, shoulder or crossbody carry. 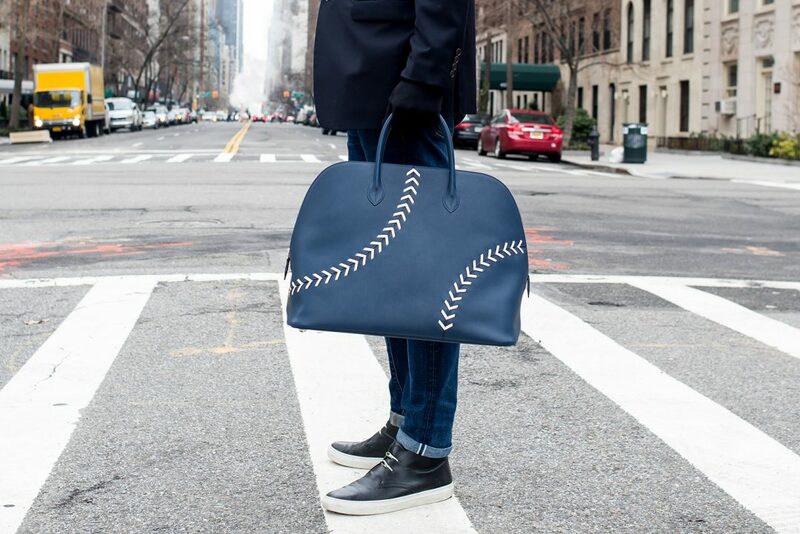 It is also a great entry-level Hermes bag. 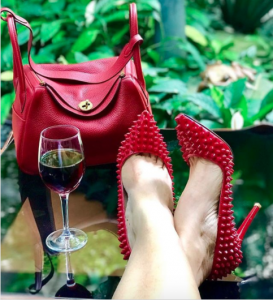 Currently ,the Evelyne can be found in Epsom and Clemence leathers, both lauded for their durability. The sizes available are TPM (Tres Petit Model- 16cm), PM (Petit Model-29cm), GM (Gran Model-33cm) and TGM (Tres Grand Model-40cm). With its iconic “H” closure, the Jige clutch is the perfect casual day-to-night clutch. Although this bag can only be carried two ways: handheld or under the crook of the arm, many favor it because it offers easy accents to its content, and can fit quite a lot. Don’t be fooled by its casual appearance, the Jige clutch still receives the same treatment as other more recognizable Hermes bags by being crafted by a single artisan with the highest quality materials. The Jige clutch is available in 5 sizes: Mini (20cm), PM (29cm), GM (34cm), Elan 29cm and Elan 35cm. If you love Hermes’ Collier the Chien then you will love the Medor clutch. Featuring the eye-catching CDC design, the Medor is a great nighttime clutch, as the hardware makes it instantly dressy. Currently, the Medor clutch is available in 23cm size. There used to be a size 29cm, and although it’s been discontinued by Hermes, it’s still available in the secondary market. What makes the Medor clutch popular among collectors of Hermes bags is that besides being beautiful, it’s also practical, as the CDC is adjustable and can add more space. 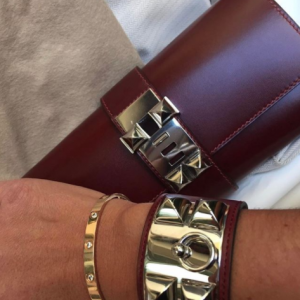 It’s available in various leathers and exotic skins, as well as gold or palladium hardware. The history of the French Hermes Bolide is linked to the American Henry Ford. When Emile-Maurice Hermes visited Ford factories in North America he was impressed with a new technology used to fasten a cloth to the top of a car: the zipper. Upon his return to France he filed a patent for the zipper to be used on his products, starting with the “sac pour l’auto” (car bag) in 1923. This large trapezoid-shaped travel bag was meant to keep valuable items safe while in the back of a moving car. Later, this bag would come to be known as the Bolide, after an old French word for “meteor.” In 1982 the Bolide was reduced in size and introduced as a handbag and is currently available in two presentations: Mou (Soft) and Rigide (Rigid). It comes in 4 sizes, 27cm, 31cm, 35cm and 45cm. This simple bag is popular because it’s roomy, understated and classic. It featured a removable shoulder strap, adding to its versatility. 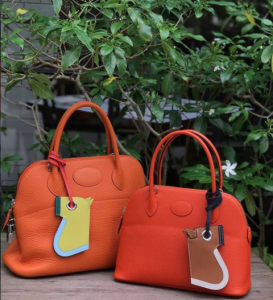 While most of the Hermes bags listed here (and even those that aren’t) are structured, the Lindy stands out for its slouchy design. Introduced in the Spring/Summer 2007 runway, this bag can be carried two ways: on the hand by the handles, or over the shoulder with the attached shoulder strap. It is a very roomy bag that’s perfect for travel, as it has two exterior pockets and two large interior compartments, each with its own individual zipper. The Lindy can be found in four sizes: 26cm, 30cm, 34cm and 45cm, and it’s mostly crafted from Clemence and Swift, but can also be found in Matte Croc. Hermes’ Garden Party tote is as chic as it is practical. Presented in both leather and canvas, the Garden Party is meant to withstand a lot of use, making it a great everyday bag. The Garden Party is available in three sizes: Small (PM), Medium (MM) and Large (GM). There are limited-edition Garden Party totes available, such as the Picnic collection, or Garden pattern with a printed canvas interior. 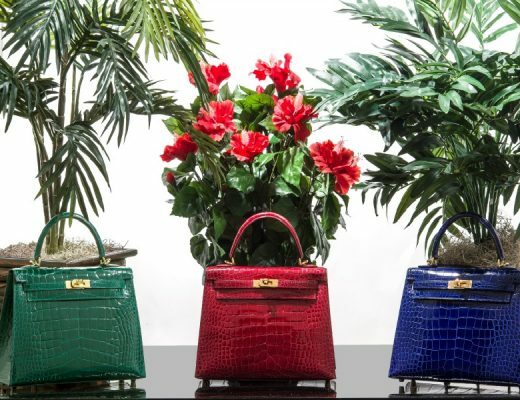 If you’re a lover of Hermes bags, you must see Madison Avenue Couture‘s collection of the most exclusive, beloved and highly-curated Hermes bags and accessories.